Learning about Thai holidays is one of the best ways to increase your knowledge of Thai culture, and can be a great way to improve your vocabulary skills too! In Thailand, family holidays are of great importance considering the friendly and familial nature the country possesses. So it should be no surprise that it celebrates a national Children’s Day (Thai Children’s Day), which seeks to both celebrate and encourage Thai children for who they are and who they can become. Learn more about Thai Children’s Day with ThaiPod101.com, and become a master of Thai culture. Also learn some handy Thailand holiday vocabulary for your arsenal to make your trip to Thailand a breeze! 1. Why Should You Know About Thai Children’s Day? When learning a new language, exploring its culture is just as important as studying the language itself. A country’s holidays are not only a fascinating aspect of its culture, but they also expose the heart of its people and the depth of its past. Children’s Day in Thailand, for instance, is a reflection of the country’s emphasis on caring for children, and their importance for the future of the country. Once you’ve discovered more about this holiday, you’ll be better able to understand what makes Thailand unique, and what characteristics its people and government share. For instance, in Thailand, family holidays make for fun and meaningful occasions—days to celebrate family and take it easy with those you love. Thai Children’s Day, though not a public holiday, is no exception and falls on Saturday for this purpose. 2. What is Thai Children’s Day? Thailand really does take its children seriously—and it realizes that children don’t always want to be serious. Children’s Day (also called Wan Dek or wan-dèk-hàeng châat) in Thailand, though not a public holiday, is a day in early January where children are celebrated and encouraged to become their best. The day is highlighted by public events where children’s work and accomplishments are put on display as a show of praise and encouragement. Further, each year the Prime Minister gives a motto to children in hopes that they’ll remember it and use it to grow into fine adults. 3. When is Thai Children’s Day? 4. How is Thai Children’s Day Celebrated? Even the schools get involved on Thai Children’s Day, putting on special events to both encourage Thailand’s children and offer them a day of fun. You’ll also find exhibitions of school children’s accomplishments, particularly in the arts. But the real fun comes in the form of carnivals and other lighthearted festivities that children are encouraged to participate in. Some businesses even use this day to offer children free admission into their place of business; this includes zoos, museums, and even some of Thai’s military bases. This makes for the perfect occasion for parents to spend time out and about with their children. Some common activities for Children’s Day include visits to the aforementioned zoos, museums, and bases, as well as quality time at home (and probably a special meal!). In short, Children’s Day in Thailand is meant to both inspire and encourage children, and to allow them to enjoy the freedom of being a kid. Further, it’s a day for parents, teachers, and other adults to show their appreciation and respect for children, and to ponder their importance themselves. If you want to hear the pronunciation of each Thai Children’s Day vocabulary word, check out our Thai Children’s Day word list which includes audio along with each word. Thailand’s national Children’s Day is a significant occasion in Thailand, and is a great example of how children should be appreciated worldwide. From the fun activities for Children’s Day to the meaning behind it, it’s clear to see that Thailand values not only its future, but those who will be there to live in it. What do you think about Thai Children’s Day? Is there a national Children’s Day in your country? If you want to learn more about Thailand’s culture and the Thai language, be sure to visit us at ThaiPod101.com. We have lots of invaluable tools to help you efficiently learn Thai while staying entertained! These include vocabulary lists, insightful blog posts, and our MyTeacher app which offers you one-on-one guidance as you navigate everything Thai! 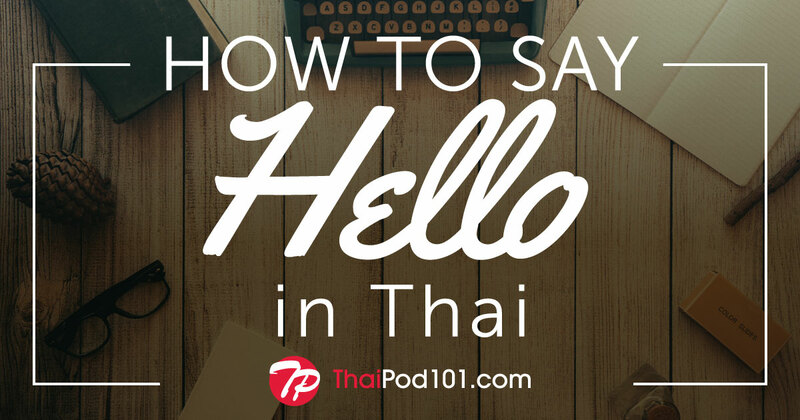 Learning Thai can be both fun and efficient with ThaiPod101.com. Also be sure to stay tuned for more articles on Thai holidays for an even better glimpse into Thai culture. In the meantime, be sure to practice your Thai Children’s Day vocabulary for the best Thailand holiday experience. We wish you the best of luck in your language-learning journey!